He could be right, of course. But there are also a thousand other potential causes for a stiff knee, and in this scenario, there is no way he can know for sure what’s causing yours. That helps to illustrate why an operational assessment of your commercial HVAC system is the most logical place to start for building owners and facility managers who would like to improve energy efficiency and control operating costs. Although there are some general best practices anyone could cite for accomplishing those goals, the only way to determine exactly what your building needs is for an expert to review your facility’s systems directly and identify exactly where energy is being wasted or performance could be enhanced. What is an operational assessment? If you’ve never worked with commercial HVAC professionals to have your system evaluated, you may wonder what a HVAC operational assessment actually is. In short, an operational assessment is an organized overview of your facility’s HVAC system by trained professional technicians with a focus on historical and current usage data, energy costs, and maintenance records. These are analyzed to identify trends and bring to light issues that are costing you money. The assessment includes testing and analysis of the current system’s mechanical integrity. It identifies areas where strategic repair, replacement and/or upgrade could improve efficiency or performance. Building automation and analytics systems will be evaluated, along with controls. Technicians performing the assessment will also be on the lookout for opportunities for energy rebates, enhancing comfort, and improving reliability. Why start with an operational assessment? The operational assessment is the best foundation on which to build a schedule for strategic upgrades or replacements and future planned maintenance. It also serves as a great way to be proactive and strategic with capital expenditure planning. 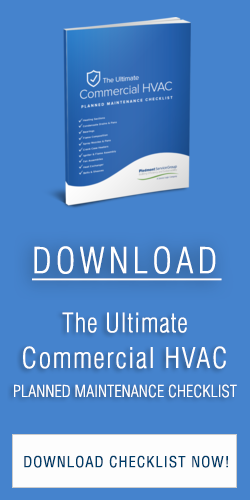 It offers a baseline understanding of a commercial HVAC system’s current and historical usage and cost patterns, which helps identify its current capacity as well as its potential. The gaps between the two provide areas for improvement which you can then prioritize effectively. At the top of the list will be low cost, high yield actions that can be taken immediately to quickly offer dramatic return. Recommendations further down the list may need to be planned and budgeted for, but they will also provide a valid ROI upon completion. Oftentimes, however, a comprehensive approach to handling a bundle of updates can prove the most cost-effective use of funds, especially if rebates and incentives are available for making energy efficient improvements to your building. A final key benefit of having the operational assessment done first is that it will identify those potential upgrades, enhancements, or replacements that really won’t yield an adequate return (whether through energy efficiency or lower operating costs.) Just as it’s important to know what will help your facility, it’s useful to get professional insight about what may not be a benefit based on your building’s unique circumstances. 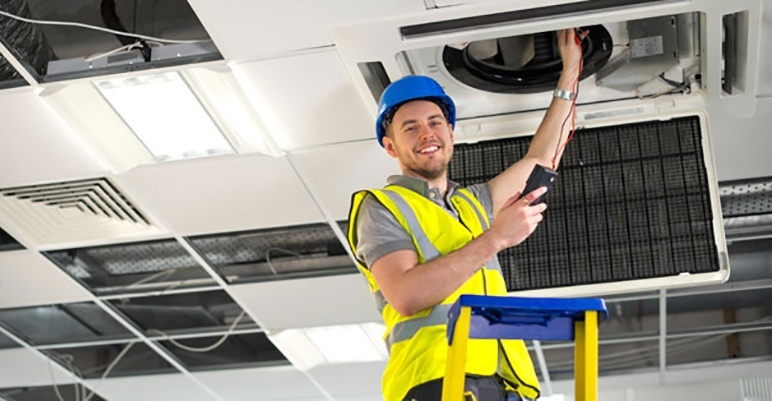 If you’d like to start your commercial building energy efficiency efforts on the right foot this year, contact our team of experienced HVAC professionals today to learn more and to arrange an operational assessment for your commercial facility.